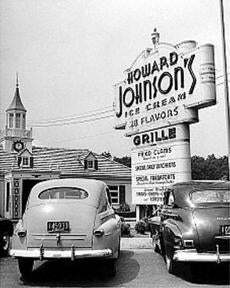 It all started with the Howard Johnson's ice cream stand on Wollaston Beach in Quincy. 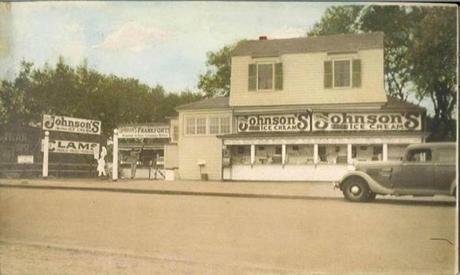 The Howard Johnson's on Old Colony Parkway in the 1930s. 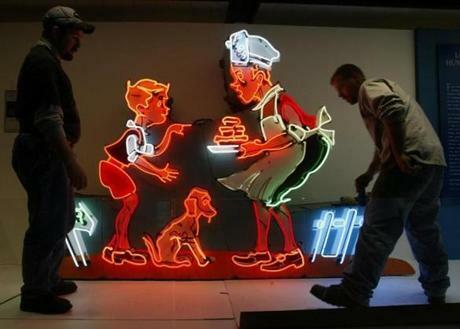 Jim Lavoie and Michael Hashem worked to install and check neon lights on this 1961 sign for a Howard Johnson's restaurant. 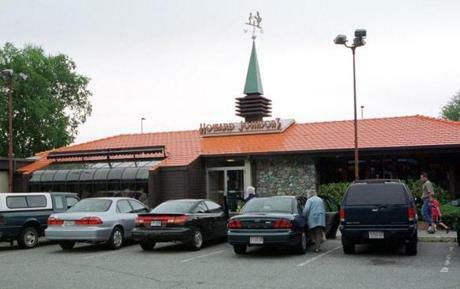 The exterior of the Howard Johnson's restaurant on the Mohawk Trail. 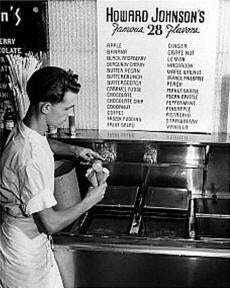 A server scooped one of the famous 28 flavors of ice cream. 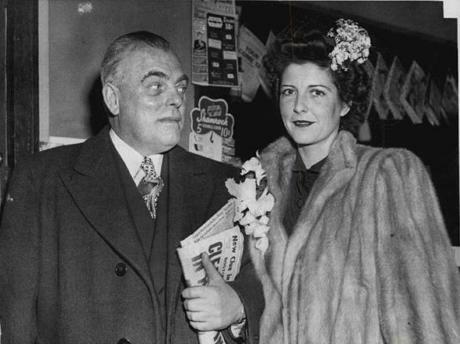 Newlyweds Howard and Marjorie Johnson. 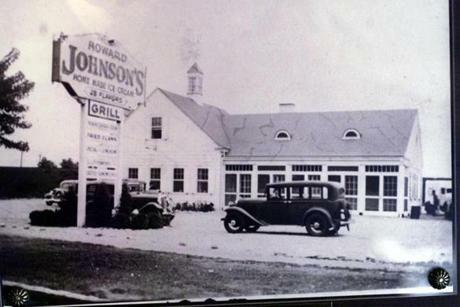 The restaurant in Canton shown in 1949.